On June 9th, 1967, without mercy, a pincer air and sea attack force descended upon an unarmed American naval vessel sailing approximately a dozen miles off of Egypt’s Sinai coast. The name of that vessel was the USS Liberty. Last year marked the 50th anniversary of the Israeli assault on the USS Liberty. The attack occurred during the Six Day War or the 3rd Arab-Israeli war, which was fought between the 5th and 10th of June by Israel and the states of Egypt, Syria, and Jordan. The US was formally neutral during this conflict. If I were a betting man, which I am, I would be willing to bet that you’ve probably never heard anything about this vicious military attack Israel carried out against our nation. Perhaps, you should question why the lying mainstream media hasn’t covered it one bit? Could it be that they would rather have you not know anything about it? The story indeed runs counter to the commonly espoused narrative that Israel is one of our greatest allies. The Israeli attack on the USS Liberty is among the worst offenses in history against any noncombatant U.S. naval vessel. Unfortunately, the offense remains shrouded in secrecy, and for a good reason. If the American people were to ever find out about what happened on that day, they certainly wouldn’t be willing to give 3.2 billion dollars in aid each year to Israel any longer. Furthermore, Americans might be a little bit more concerned about the number of dual US-Israeli citizens in our congress, mass media and state department. During the assault which lasted multiple hours, 34 American servicemen were slaughtered, and 173 more were wounded after Israeli torpedo boats and planes pounded the navy intelligence vessel mercilessly. Audio evidence of conversations between Israeli Air Force pilots and their controllers back at base has confirmed without a doubt that Israel knew just sixteen minutes into the attack that the vessel was indeed American. Quite probably, they knew the ship was American before even beginning the attack. American sailors who attempted to flee the damaged vessel in lifeboats were gunned down by Israeli torpedo boats who circled the area surrounding the Liberty – a war crime as stated in the Geneva convention. The attack on the USS Liberty represents the single most significant loss of life by the U.S. Intelligence Community and the second deadliest against a U.S. Naval ship since World War II. So, why did Israel, our supposed ally, do this to us? Survivors of the attack have long maintained the view that Israel’s primary goal was to wipe out the entire crew and sink the ship as a means of scapegoating blame for the incident onto Egypt, whom they were at war with at the time. Okay, but why exactly would Israel want its ‘ally’ the U.S. to think that Egypt was responsible for the attack? 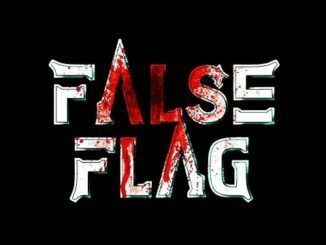 The answer is simple and lies in what is known as a ‘false flag’ attack. In attacking the USS Liberty, Israel looked to shift public blame for the incident onto Egypt as a way to provoke President Lyndon Johnson and the U.S. public into declaring war on Israel’s sworn enemy and Egyptian Arab Nationalist, Gamal Abdel Nasser. This was clearly in Israel’s interest. Following the attack, the Navy Court of Inquiry’s investigation proceedings were held in closed sessions. All survivors who were on board the USS Liberty were given gag orders which forbid them to speak about what they went through on that day. At a news conference, Moorer asked, “Why would our government put Israel’s interests ahead of our own?” Everyone who’s reading this should be pondering the same question. A former Navy attorney who helped to lead the military investigation of the attack stated that former President Lyndon Johnson along with Robert McNamara, his defense secretary, ordered the that the probe conclude that the event was an accident. A senior Israeli lead pilot who was ordered to attack the naval vessel held many interviews with former Congressman Paul N. McCloskey where said that he had immediately recognized the Liberty as American and informed headquarters. After being ordered to ignore the American flag and to carry out the attack, he refused and returned to base where he was subsequently arrested. Damning evidence, indeed. A dual citizen Israeli major who was present in an Israeli war room during the attack said that he heard the pilot’s radio report and that the attacking pilots and those in the war room all knew that they were attacking an American naval vessel. Later the same man recanted his statement after he reportedly received threating phone calls. An in-depth analysis of the attack which was described as “most detailed and accurate account of the Israeli attack,” was published by Pulitzer Prize-winning journalist, John Crewsdon in the Chicago Tribune. Just a year later, Crewsdon was fired from the paper after having worked there for 24 years. Even though Israel apologized for the destructive offensive against the Liberty, it has continuously maintained that misidentification of the ship caused the attack. Well, considering the evidence at hand, wouldn’t it be utterly naïve and silly to do so? With all of this in mind, perhaps it’s time that the US reconsider its cozy relationship with Israel? To find out more information on the USS Liberty attack, check out “The Day Israel Attacked America,” by award-winning British filmmaker, Richard Belfield.